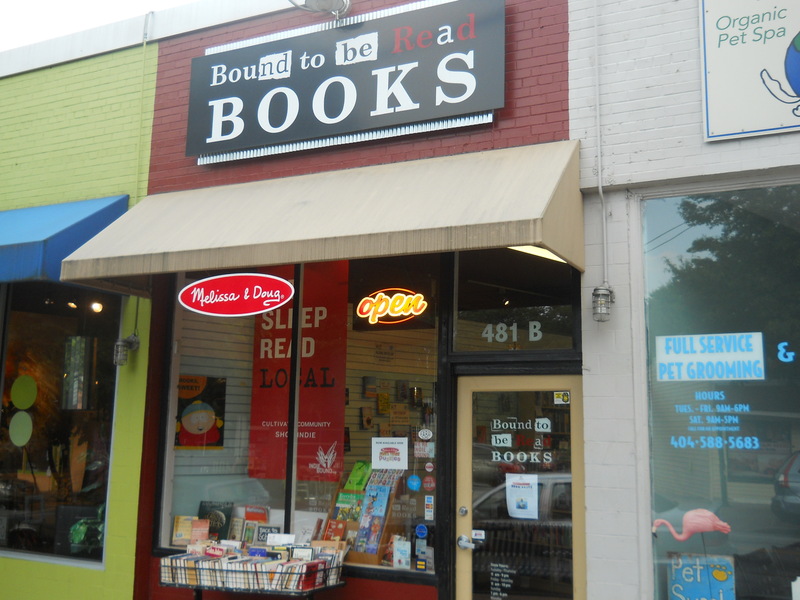 So I went to three bookstores in Atlanta yesterday that I wanted to post about also. 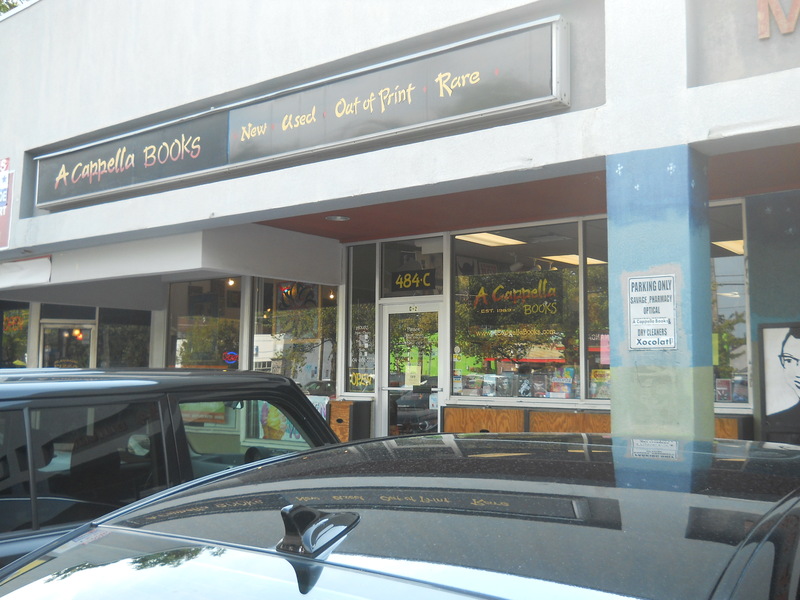 A Cappella is not a YA bookstore and I missed Frank, the owner, but I talked to Chantal and pitched her the book. I think she may read the first chapter, at least, and if she reads the first chapter… It’s a funky indi in a funky part of town called East Atlanta. I’ll write to them both in two weeks to see if either one took a peek. 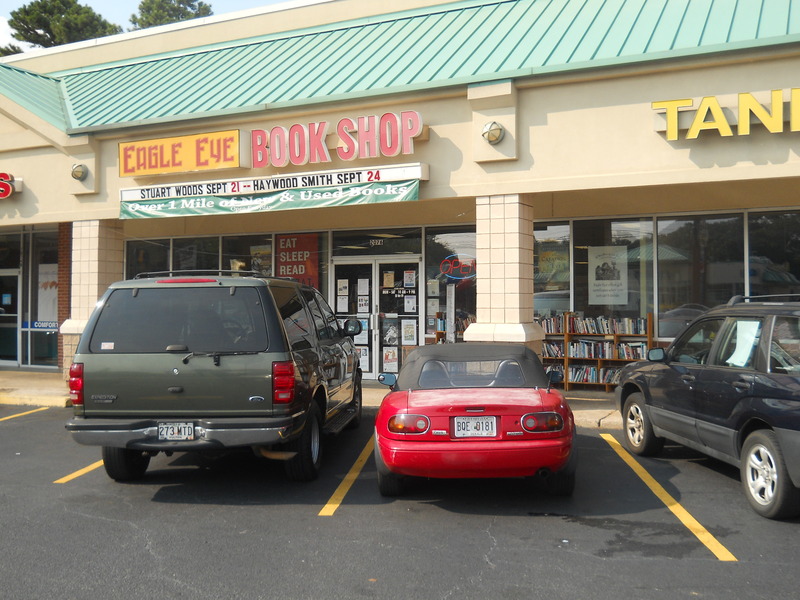 Eagle Eye Books was not too far down the road so I stopped there next. 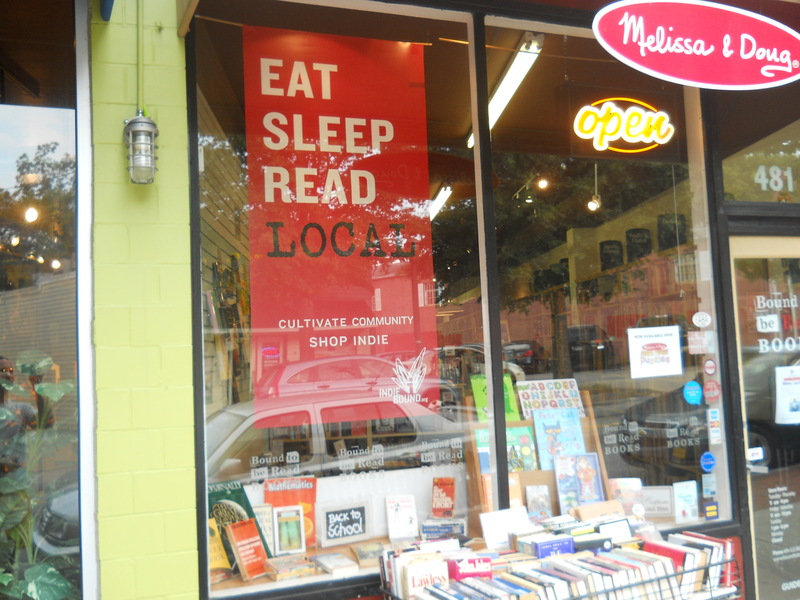 This is a good sized store with both used and new books. The owners, Doug and Charles were not in (I keep missing folks but that’s the nature of a drive-by – you got to visit when you have the time) so I pitched the book to Bob who smiled the whole way through and said he’d give it a read. I’ll be following up with him in two weeks also. Bound to Read Books is a great small indi that had a great kids section in addition to a good size graphic novel section and just a beautiful interior. I got there just after a big event so the owner was in. 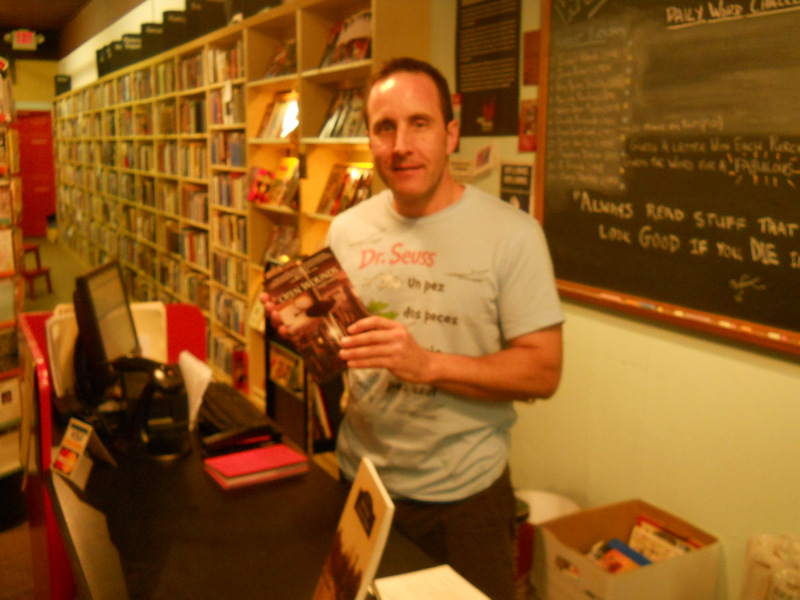 Jeff was kind enough to listen to my pitch and we talked about while about how publishing and bookstores have changed. He said, now that Borders has been taken out Barnes and Noble and Amazon are next on the indi hit list. Hah! But what do Indi’s do about getting a piece of the ebook market? I’d never thought of that before. It’s a good question for another blog post. I’ll be following up with Jeff too, and my guess is he may well have copies of Open Wounds in his store some time soon. Just guessing. This entry was posted on August 22, 2011 by Joe Lunievicz. It was filed under Blog, Bookstores, Travel .